A network health check is for clients who need to improve local area network performance and productivity. Our Network Health Check includes LAN and WLAN health checks, network performance, identifies errors, inefficiencies and irregularities that make networks operate below expectation. An independent network Health check is essential when trying to improve performance, implementing a new technology, expanding an existing network or creating a long term plan for network development. 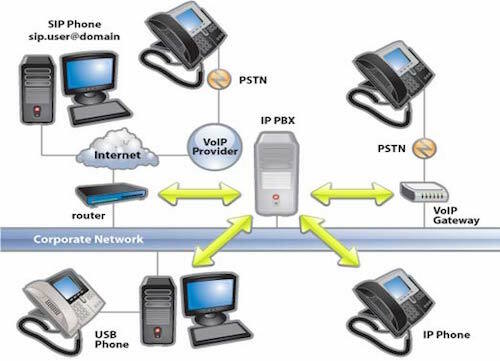 A VoIP system usually consist of one or more SIP or VoIP phones, an IP PBX server and an optional VoIP gateway. An IP PBX server is similar to a proxy server and hold a directory of all phones and users and there corresponding SIP addresses and therefore able to make internal calls or route external call through VoIP gateway or a VoIP service provider at the destination. At AS Technologogies our choice of VoIP/ PBX system is 3CX Phone System for Windows. It is an award-winning software-based IP PBX that replaces traditional proprietary hardware PBX. It is based on the SIP standard and supports most popular SIP phones, VoIP Gateways, VoIP service providers and PSTN phone lines. It is easy to manage by system administrators as it integrates well with Windows Network infrastructure. Choosing the right products for your business computer systems and networks isn't just a case of finding great prices and deals - you also need to know that the equipment. Is it fit for purpose and compatible with your existing infrastructure. That's why it's a good idea to deal with a supplier like AS Technologies, who through our partnerships with leading industry vendors and distributors know more about the latest products available in today's saturated marketplace. We partner Cisco, Microsoft, HP amongst others. We are also highly experienced and have a proven track record when it comes to server installation or migration. Servers are an integral component of most networks that require fast file sharing, emails, databases and email services. Based on this, we design and install cost effective customisable solutions that help increase productivity. Our engineers have installed single servers for small businesses as well as multiple servers. We maintain them and keep them running optimally for years. This is done after a preliminary network design has been done. It is meant to verify that the network plan works well in a real-world environment. It is at this stage that permanent locations for AP’s are determined. This ensures optimal use of AP’s and helps avoid areas with poor coverage. After a wireless network has been deployed, a complete site survey is essential to ensure that network performance and coverage meet the design requirements. 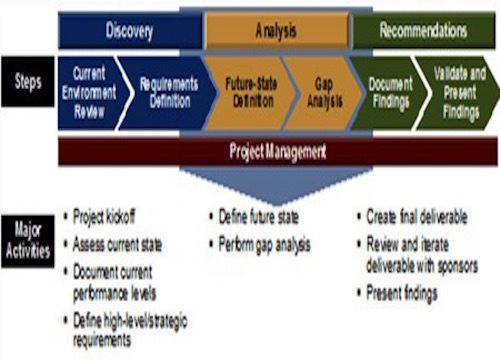 The final report generated acts a benchmark for performance testing and future surveys. At regular intervals, a survey is required to make sure that performance is still optimal. Performance could be affect due to new users, new equipment or interference from another device or network. Setting up a new office or expanding into a new location, can be challenging and intimidating. Our team of network technicians help make your new office set-up and move seamless and easy with our New Office IT Set-up services. We help you plan and setup your new office IT infrastructure making the move seamless and easy with our new office setup services. Our new office setup services include: Hardware and Software advise and procurement, vendor evaluation and selection, office LAN/WLAN setup, Internet Access, Backup strategy, Server setup and configuration, Computer and laptop setup and configuration, printer setup, telephone, video conferencing setup and documentation.